Located in SS7 Kelana Jaya Wisma AmFirst is easily accessible through the NKVE, LDP and Federal Highway. Comprising of 2 blocks it sits 16 storeys high with a 5 storey podium block and one level of basement car park. 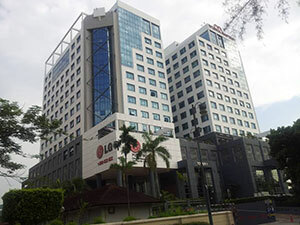 A total Net Lettable Area of 285,461 square feet Wisma AmFirst is host to various Multi National Corporations and Government agencies. Located in close proximity to the Kelana Jaya Recreational Park, Kelana Jaya Centre Court Sports Complex and Kelana Jaya Commercial Centre. Undergone recent refurbishment Wisma AmFirst has competitive rental rates.